The waiting line for sports betting options continues to grow. 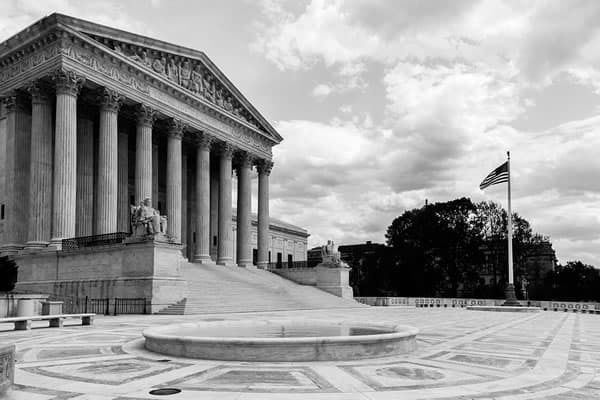 The Professional and Amateur Sports Protection Act’s fate resides with the US Supreme Court, and the odds are heavily in favor of its repeal. If PASPA does end up getting knocked off, there are several states legally cleared to pull the trigger on sports gambling overnight. The United States is looking at a potential windfall of legislative activity once PASPA goes down and the few states that have passed pro-sports gambling legislation will be modeled. Sports betting, while rampant in the US, has not been considered legal within domestic borders save for 4 exceptions—Nevada, Montana, Oregon and Delaware. These 4 states escaped PASPA’s enforcement because they already had some form of sports betting written into their legal framework. Interestingly enough, single-game wagering is only available within Nevada, while other PASPA-exempt states have forfeit their betting rights entirely. In the 25+ years since PASPA’s enactment, the other 46 states were barred from passing any sort of betting legislation. Daily Fantasy Sports (DFS) became an alternative, but even that market has its share of legal controversy. New Jersey decided to circumvent the federal government by passing legislation that authorized its existing gaming facilities to host sports betting options. Needless to say, the major sports leagues (NFL, NBA, NHL, MLB, NCAA) did not take this lightly and filed a federal lawsuit. The government forced NJ to suspend its betting activities before they even got off the ground. New Jersey decided to fight back and appeal the actions of the government. After several rounds of failed litigation, New Jersey’s last option was to appeal to the Supreme Court. The acting Solicitor General urged SCOTUS to not take the case and uphold the ruling of the lower courts. However, SCOTUS decided to hear out New Jersey’s argument that PASPA is in direct violation of their state rights. The case had its first official day in court back in December, though no final ruling came out of the meeting. The general consensus was that most justices aligned with the plaintiff’s argument that PASPA was in violation of states’ rights. The main reasoning behind the plaintiff’s argument is that it is constitutionally unfair to allow some states to offer sports betting while simultaneously denying that right for others. For now, the case seems to have stalled out. Some sportsbooks have even begun offering betting lines on when the Supreme Court will finally rule on the case. Until then, all states can do is work out preemptive legislature that is tapped once PASPA is repealed. New Jersey is undoubtedly ready for legal sports betting. After all, they are the ones that started the fight. NJ’s original legislation came out in 2014. The state aggressively prepared another batch of legislation just in case the PASPA case doesn’t go their way. The new 2017 legislation would strip any and all regulatory and prohibitory laws with betting. Pennsylvania legalized online poker and casino games back in 2017. Sports betting was attached to the broad gambling overhaul in hopes of PASPA’s repeal pending the ongoing case. Representative Rob Matzie, who is credited with writing the bill, is optimistic that the state will be able to offer legal sports gambling at some point in 2018. Mississippi slipped through the legal cracks on a sneaky language inclusion. There was a fantasy sports bill passed in 2017 that had provisions for a legal sports betting framework if the federal ban were to ever be lifted. The bill was known as the Gaming Control Act and if PASPA is repealed, the state’s Gaming Commission is positioned to implement a regulated betting industry. New York residents voted in a referendum that allows them to expand on their gambling platforms. The legislation was formally titled the New York Gaming Economic Development Act and introduced plans to construct 4 new casino locations. Each of these properties will be able to host sports gambling should PASPA be stricken down. NY’s Gaming Commission will oversee the market. The WV Sports Lottery Wagering Act made it through several legislative hurdles to become law. West Virginia conducted a research study into the benefits of a potential sports betting market. The entire legislative process took about a year to pass, with several versions of the bill within that timeframe, but it finally made it through thanks to the Lottery Commission’s help. The bill was strongly opposed by the NBA and MLB, both of which lobbied for “integrity fees.” Interestingly enough, the bill wasn’t signed into law, but rather forced into law via inaction. The following states have not gotten as far as the 6 listed above, but they have explored the possibility of legalizing sports gambling. If PASPA is removed as part of the Supreme Court’s ruling, expect to see some of these states move quickly to reintroduce legislation. West Virginia is the first state to face this problem head on. MLB Commissioner Rob Manfred infiltrated the local media to try and influence their side of the issue. It seems that they got to Governor Jim Justice as well. He released a press statement urging lawmakers to reconsider the possibility of partnering with the major sports leagues. Justice never signed the bill passed along to him by the Senate and House, but he didn’t not sign it either. Whether his lack of action was purposeful or not, the bill still passed. However, the MLB and NBA could impose their will on other states in order to get those integrity fees written in. 1% of all income may seem measly, but it will be a hefty payout for smaller states with less revenue coming in. West Virginia may have gotten its bill through, but that doesn’t mean it won’t be amended at some point if the leagues get their way. Also, once the NFL, NCAA and NHL get involved, the amount of money on the table will change things up for all parties involved. SCOTUS need to act soon in order to make things clear on the issue. There are several ways the case can go. For one, they could rule NJ’s law illegal and deny them the right to host sports gambling options. They could rule in favor of New Jersey but only allow them to get around PASPA and no other states. If this were to happen, you can be sure states would launch the same type of appeals process to obtain their right to offer sports betting. The last option would be ruling PASPA a violation of the Tenth Amendment and repealing it entirely. This would solve the sports betting crisis, but would raise concerns about other states right issues. Congress may have to step in in order to prevent an all-out inquisition of states’ rights versus federal laws. Truth is, we won’t know things will proceed until the Supreme Court makes a decision. Their ruling will have highly effectual implications across the board, but it is a vital step in trying to figure out the domestic sports gambling landscape.